We can service your car or truck with the same standards of quality as your dealership, at an affordable rate. Our services include 3K - 7K mile routine inspections and oil changes for: 15K service, 30K service, 45K service, 60K service, and 90K advanced service. Clogged and dirty air filters may affect the performance of your engine. We provide air filter inspections and can replace your air filter to enhance the life and performance of your engine. Our interval maintenance services include fuel system cleaning that not only keeps your car up and running on the road, but also helps you keeps car-maintenance costs down over time. If you notice any leakage underneath your car, you need to get it inspected immediately. Have us check your transmission fluid to keep your car running smoothly. 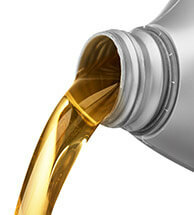 Periodic oil, lubricant and filter change protect your engine and keep your vehicle running smoothly. Our interval maintenance service is performed by certified and experienced professionals committed to provide quality service solution to our every customers. The brake fluid of your vehicle may absorb moisture and lead to corrosion of the brakes. Our interval maintenance services include replacing the brake system fluid to ensure that the brakes function efficiently and ensure your safety. The cooling system of your car prevents your car from overheating. If you feel that your car’s engine gets overheated when you drive, it’s time to get professional help. We ensure that the cooling system of your vehicle operates safely and efficiently to prevent any damage that may be caused to the components of your car’s engine as a result of overheating. The gas tank of your vehicle can rust and may contaminate the fuel. Fuel filter prevents debris and dust particles present in the gas tank from entering the fuel pump, allowing engine to work efficiently. Our professional can replace the fuel fuel filter of your vehicle to prevent any damage to the vehicle. Cabin air filter service is necessary to keep the internal atmosphere of your car healthy and breathable. The cabin air filter removes airborne particles like dust and soot from the air that circulates inside your vehicle. Our professional replace the cabin air filter to improve the quality of air inside your vehicle. Regular maintenance plays an important role in increasing the life of your car’s battery life. Our interval maintenance service include battery maintenance that reduces your risk of a flat battery and improves its lifespan. A damaged or broken belt may render your car dysfunctional. Our interval maintenance program includes belt replacement service for vehicles to ensure smooth running of your car. Improper tire alignment may cause the tires of your vehicle to wear out. It affects the overall performance of your car and also lowers its mileage. Our team of technicians check the tire rotation and alignment to ensure that you enjoy a smooth ride. The light bulbs of your vehicle is a simple component but plays an important role in ensuring your safety. A faded light may obscure your vision at night and lead to serious accident. Our experienced technicians will replace the light bulb of your vehicle if the clarity is not up to the bar. Wiper blades are made of rubber, so they wear out soon giving a hazy view through the windshield. It is, therefore suggested to get the wiper blade of your car replaced on time. We will replace your wiper blades to ensure clear view for safe driving. Automotive manufacturers ensure owner satisfaction by scheduling regular maintenance. A well maintained vehicle performs better and lasts longer. This is why specific operations to be performed on various systems and components are outlined beforehand. Maintenance tasks recommended at specific mileage levels are needed to ensure proper operation of the vehicle and to prevent premature wear of different car components. Whether you need to maintain air filtration to improve gas mileage or keep the brakes working, our technicians are here for you. If you are looking for advanced car maintenance and repair services in the DFW, we are here to help.